Cathy Simpson | Blog | Amy Johnson Festival – the moths are flying! 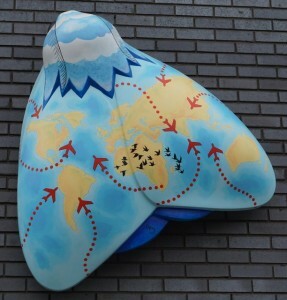 Amy Johnson Festival – the moths are flying! You’ve seen the tantalising glimpses of moth design; they’ve been up and flying all summer, and now my creation, Earth Moth-er, has been photographed in her natural habitat! 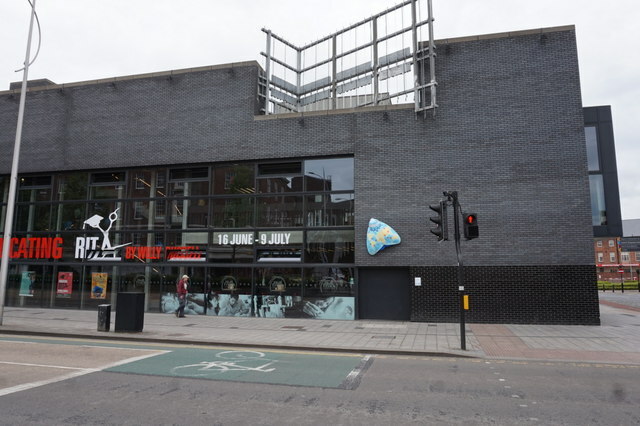 Located at Hull Truck Theatre, 50 Ferensway, Hull.